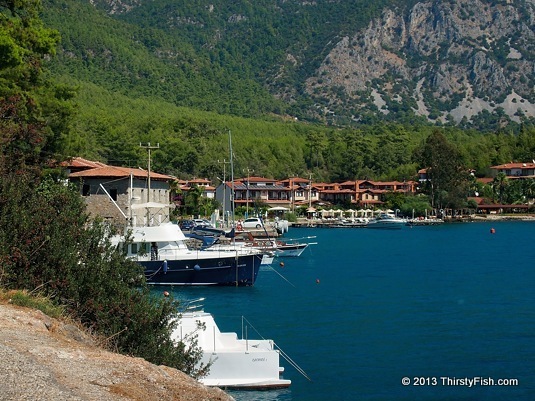 This small inlet is located about a half mile from the town of Akyaka. The Mediterranean Sea has a very distinct deep blue color and very clear water. Did you ever wonder why? The waters of the Mediterranean are oligotrophic, which simply means that there isn't enough nutrients in the water to support massive growth of algae. Excessive algae growth tends to give an opaque green appearance the water. Limited plankton growth ensures that the waters of the Mediterranean donâ€™t turn green and murky.